Kyoto, Japan - Dec 25, 2015. 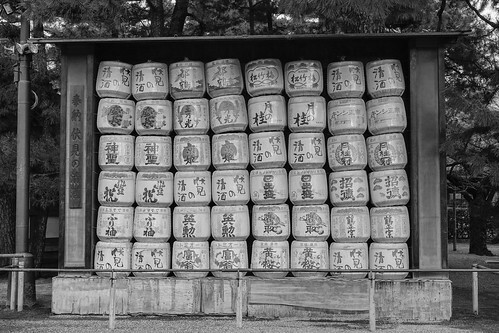 Detail of Sake barrels at Heian Temple in Kyoto, Japan. Heian Shrine is a Shinto shrine and listed as an important cultural property of Japan.